Submitted by MDFields on Thu, 05/22/2008 - 4:01pm. I like RaceTrac and Quiktrip fuels because it is usually cheaper than their competitors. Anyway, I located the Quiktrip files that redbarber had posted (thank you very much!) 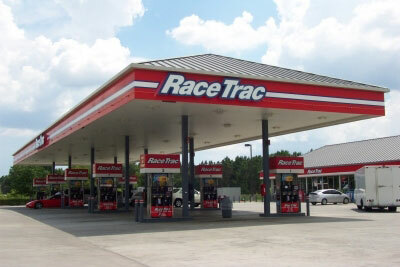 but cannot find RaceTrac, so as any good southerner would do, I made my own. The address and phone information came from RaceTrac's own website as of 5/19/08. I batch geocoded the information then compared it with Google Maps satellite pictures and adjusted the POI coordinates so they point to the gas pumps. There are 55 RaceTrac stations in Georgia. Fifty Three of those stores are in the file the two missing stations were not locatable using the address information on Racetrac.com. About a dozen of the stations names end with a (?) those stations could not be located definitely using google maps due to old satellite pictures for their area or there were several gas stations near the address and the RaceTrac could not be identified. Let me know about the errors and I will correct them. There are currently 9 users and 111 guests online.